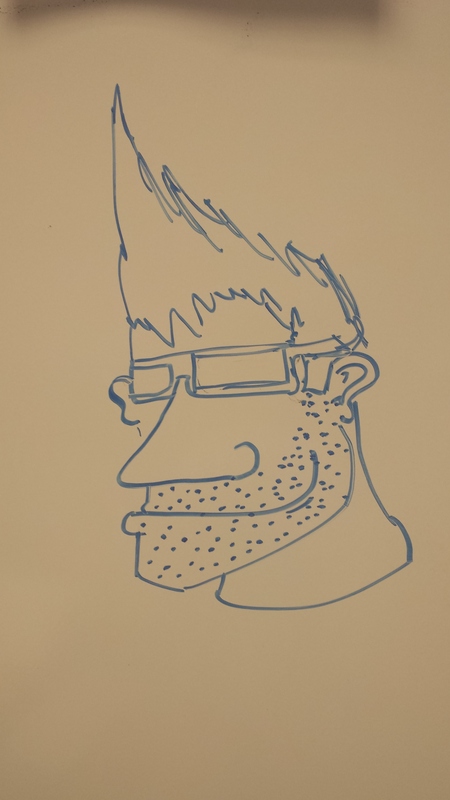 A student left this “portrait” of me on the board. Totally made my day. I was willing to forgive the big nose because he gave me a strong jawline. However, I was wondering how intentionally he was trying to make me look like Johnny Bravo.